Marcel Violet was a famous French racing car pilot before and after WW One. He designed his own cyclecars and two stroke air cooled engines to powered them. 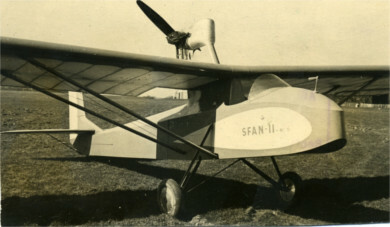 His company Sima-Violet produced both at Courbevoie between 1924 and 1929. 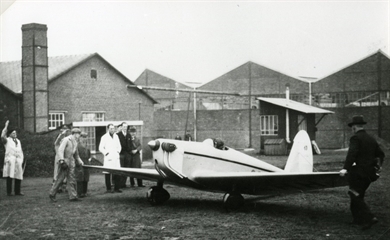 Also interested by aviation and, with the advent of the Mignet HM-14 Flying Flea, he designed a two stroke double flat twin engine. 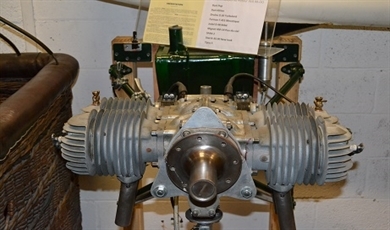 This engine was perfect and many light aircrafts that appeared with the amateur builder movement were fitted with it. Many engines hidden during WWII were used to power more modern aircrafts.